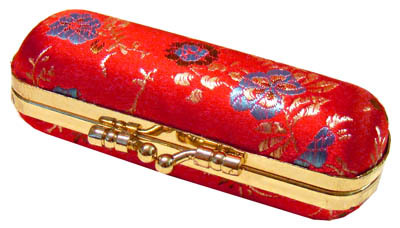 This beautiful lipstick case is decorated with traditional Chinese flower pattern. It has an interior mirror. It is a great gift for any woman.